Oh, it’s been one of those Wednesdays. He knew he took longer getting ready than the queen wanted. Though he admired the view in the mirror as she started her shower, he re-braided his hair in silence. And he didn’t try to look too close. The woman’s expression could have made his old friend Chaz flinch, and near nothing had affected that man. Behind the shower curtain something clattered to the floor, but the woman said nothing. Warm hugs ( especially in this weather) to K.L.Schwengel for maintaining the WIPpet. Head over to our linky to visit all the WIPpeeters! Progress! Real, definable progress! Yay me! Looking over this list, I want to add one more goal, mostly because it will help support several of the other goals. There’s something powerful about success. Now, time to work on momentum…. Been thinking about this for some time now… Yes, I love books. Yes, I love authors, and supporting authors I know gives me the Happy Giddies. I can’t bring myself to Like pages on a book by book basis. I won’t do it. In my opinion, I’d be doing the author a disservice if I did. I almost never keep up with updates or promotions so I can’t share and pass the word along. My “Like” is a meaningless number in the corner of a place that is meant for social interaction. Some might say that number means something in rankings, and maybe it does. But a book is a thing. And author is a person, and I want to know what the author is doing. Is s/he writing a new book? Doing a book tour for that novel I enjoyed? Did s/he make a new blog post? 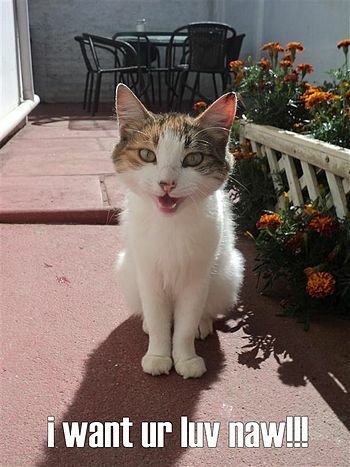 Post a cute kitteh pic on their page? Has celebrity become too much an s/he now intends to retire to a Tibetan monastery in obscurity? 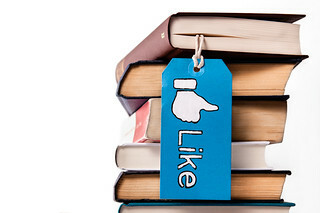 If I “Like” a book’s page, then what happens when the author writes a new book? Will the author keep posting updates of interest on the page for the old book and the new book? Would fans of both pages get duplicate posts? Sorry, but with all the amazing authors out there and all the great books written by each one… that’s just too much to keep track of. I have to make more choices, and some of those choices may seem harsh. So, no, I don’t Like your book’s page. That’s it for today. See you on Wednesday for a new WIPpet and ROW80 check-in. Until the, enjoy this kitteh! It’s been a rough week at the Chez Mabee, with almost no writing of any kind… and less involving my characters. To renew a more intimate relationship with them all, I drifted back into my fanfic the Was Long Variation* for some fun and casual company before getting back to Courting the Swan Song. Before he allowed Koru to set the thawing sequence on the cryo unit, Alanii donned a suit and walked into the lab to see their unknown guest. He ran a glove over the glass to clear the new frost. Inside a young man lay stopped in time, his red and white features proving a rushed freezing job. Tossled sable strands of hair were stuck to his face in places, iced to his eyelids, his lips. The youth might have been beautiful once, but at the moment, encased in non-death, non-life, his narrow features brought sharply into focus by the shards of his own blood, the boy seemed to only add to the warning Alanii had just received. He hurriedly scuffed the icy shavings back over the revealed visage. Normally by this point in a round, I would reassess my goals to see if I should change anything. Not this time. Maybe by next week, but for now, things need to progress the way they are a bit longer before I change anything. Last week was spent being exhausted and sick… mostly exhausted with a sick child. energize myself with more physical activity does getting out of bed every hour or so to help my son count? As you can see, not much going on here. I did an interesting “writer’ moment” last night at Colonie Center on the way to pick up my husband from work for the above mentioned dinner. In my (sadly) typical fashion, my feet tangled in each other as the Boodle and I were running across the service road in the parking lot, and I made a near face plant in front of an on-coming car. No biggie… I wasn’t hit. I was a bit winded and shaken. Mostly I was mad. Not a single person walking to their cars or any of the cars that went by stopped to ask if I was okay or make sure the Boodle was safe. I would never just drive by. What does this have to do with writing? Well, first it was the awareness of how the fall happened… Since I write “Swords & Sorcery” style fantasy, I write a lot of battle scenes. And I realized a lot of “falls” in stories are written very carelessly. Yes, some are quick, “shake it off” things, but there are also those “pull yourself up and still tremble” things, and that the later makes for a more interesting fight scene. No one likes a character to have everything too easy. Being clumsy can be good for the writer’s soul, I guess.